Personality tests typically measure 4-20 factors which can provide greater awareness of oneself and others. This is often useful to help employees become more sensitive to others with different behavioral styles. However, effectively predicting job specific behavior requires a different approach that takes into consideration specific job activities, responsibilities, and performance requirements in relationship to a wide range of behavioral factors. Harrison provides the next generation of assessments with job specific behavioral and personality testing which effectively predicts job success, engagement, and retention. Our SmartQuestionnaire measures 175 talent factors in only 25 minutes. When a job is selected, it compares the individual's behaviors to the job specific behavioral factors related to good performance for that role. Our extensive world-wide research and Job Success Formula Library makes it easy to assess job fit. Harrison Paradox Technology provides a new depth in personality testing and behavioral testing. Paradox Technology measures how employees manage 12 paradoxical pairs of behaviors, each of which are critical to job performance. For example, self-confidence can be a great strength but if it is not balanced with considering other ideas, self-confidence becomes dogmatism that stifles innovation and causes employee turnover. Conversely, leaders who are receptive to different ideas without having confidence in their own views will lack clarity which leads to confusion amongst the team. Achieving paradoxical balance is the key. Paradox effectively identifies job related strengths and more than 40 potential derailers without having to ask any negative questions in the questionnaire. Harrison is a two-way assessment because it measures the degree to which the employer and employee will meet each other's mutual needs and expectations. Consequently, it predicts engagement and retention while also providing a much better employee and candidate experience than other assessments. Since successful employment requires meeting mutual needs, the Harrison approach is more effective than one-way assessments which only measure how well the person meets the employer's needs and expectations. Saying our employees are important is easy. However, to truly value your employees, you need to find out what is important to them and create mutually beneficial alignments. No other assessment provides such a comprehensive mapping of mutual needs. Our SmartQuestionnaire measures personality factors, interests, passions, preferences, and expectations. 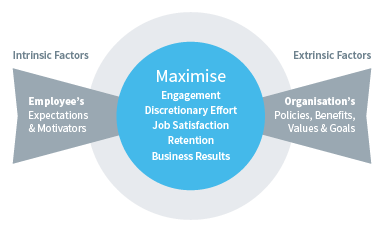 By measuring this comprehensive set of factors, the Harrison Suitability Assessment can accurately predict job performance, engagement, and retention. The SmartQuestionnaire also provides key data used to assess competencies including leadership capabilities, emotional intelligence, behavioral competencies, and core values specific to your company. The same individual data from the SmartQuestionnaire can be applied to organizational development including team development, engagement surveys, succession planning, leadership capability analysis, cultural analysis, and performance benchmarking. Enjoyment-Performance Theory is a key theory based on this principle: When people enjoy a task or have an interest in something, they tend to do it more, and when they do it more, they get better at it. When they get better at it, they get acknowledged or feel better about themselves and this furthers the cycle by causing them to enjoy that activity even more. The Harrison Suitability Assessment is designed to hire or place employees in roles which are aligned with their natural interests and passions. 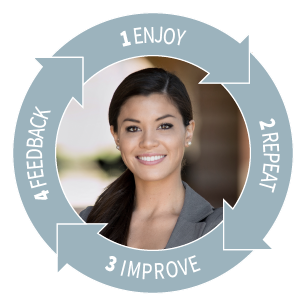 Harrison Assessment's 30+ years of research shows that employees who enjoy at least 75% or more of their job are three times more likely to succeed than employees who enjoy less than 75% of their job. In addition, Harrison Suitability Assessment has the highest predictive accuracy of any behavioral assessment in the industry.